The National Water Trails system offers 20 amazing adventures for canoers and kayakers across America. Here are our paddle experts’ 5 favorites. Photograph Courtesy of Northern Forest Canoe Trail - Photo by Mike Lynch. Mountains have them, municipalities have them, so why shouldn’t waterways have them as well? I’m talking about trails that keep you on a chosen route. 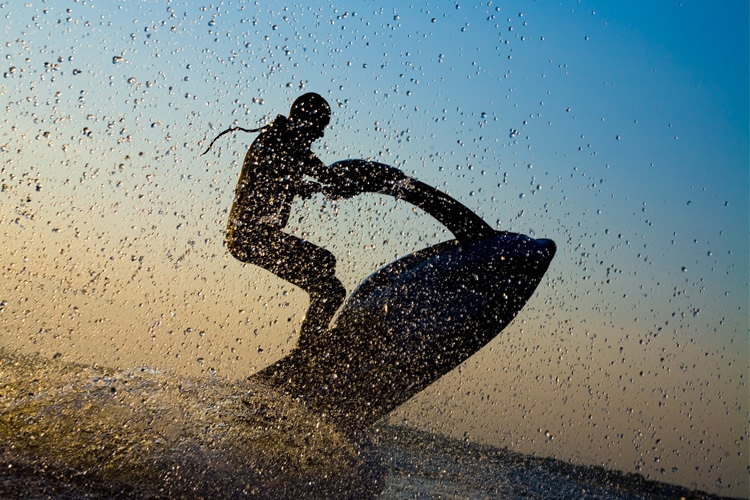 Luckily, such things exist and they’re called “water trails.” Exploring them has become a trend that’s gaining momentum like a well-paddled canoe. The National Water Trails System details more than 20 official paddling trails across the U.S. Their mission is to protect, restore and increase access to some of America’s best waterways. The individual state sites for each trail (below) offer everything from maps to well-marked access points and campsites, making multi-day forays into the wilderness easier than ever. Whether you’re a neophyte or seasoned veteran, they leave logistical headaches in your wake. Just remember to tell your boss you might be a little late coming back to work. Running through six state parks, the 170-mile-long Suwannee River Trail divides Florida’s panhandle from the rest of the state. 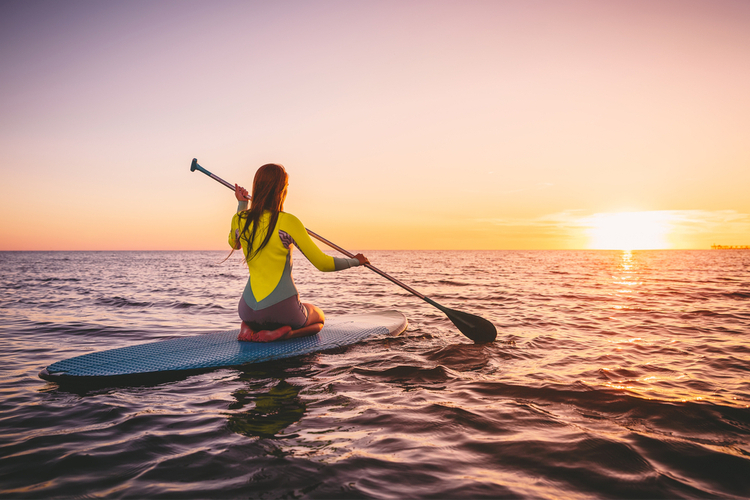 Extending from the Stephen Foster Folk Culture Center Park to the Gulf of Mexico, it’s perfect for canoeists and sea kayakers of all strokes. You’ll paddle its black, tannin-filled waters past three river camps spaced between eight access points, each with restrooms, showers and campsites. You’ll also retrace the wake of the 16th century Timuccuan people who used to live along the river’s banks. 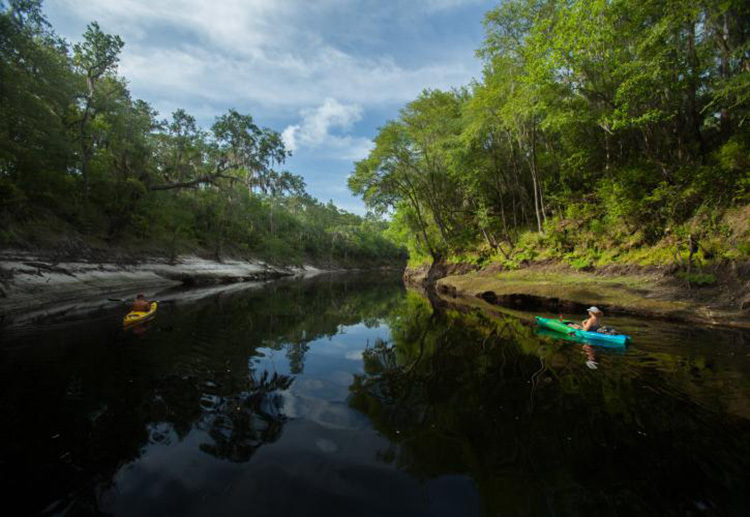 While they named it Suwani, meaning “Echo River,” you won’t resist creating echoes of your own as you belt out “Old Folks at Home,” the state song of Florida, to the cadence of your strokes (rumor has it that no one’s ever paddled the Suwannee without breaking out into song). 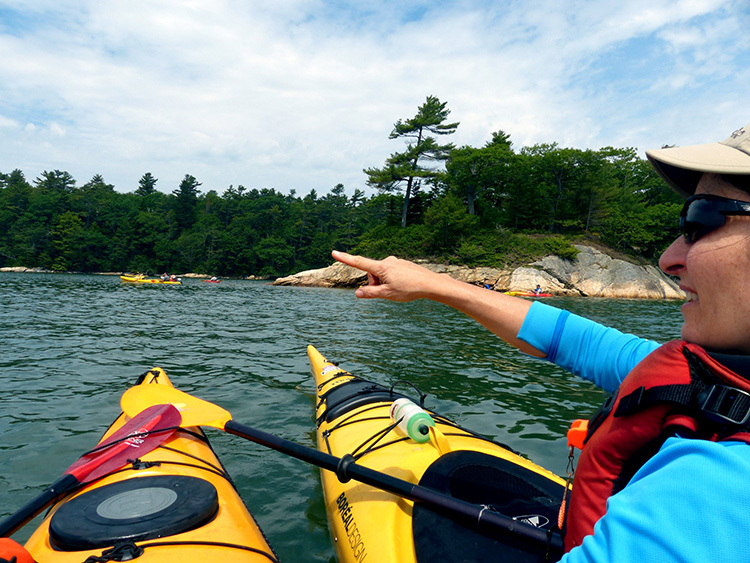 For some of the most pristine paddling on the planet, dip your paddle blade into the Maine Island Trail, the country’s first water trail. Established in 1988, the Maine Trail established the precedent for all others in its wake. The 350-mile-long waterway extends from Cape Porpoise Harbor on the west to Machias Bay on the east, with its namesake Maine Island Trail Association (MITA) the largest group of its kind on the continent. Camp at one of 150 island and mainland sites along the route, each accessible by kayak, sailboat or other watercraft. 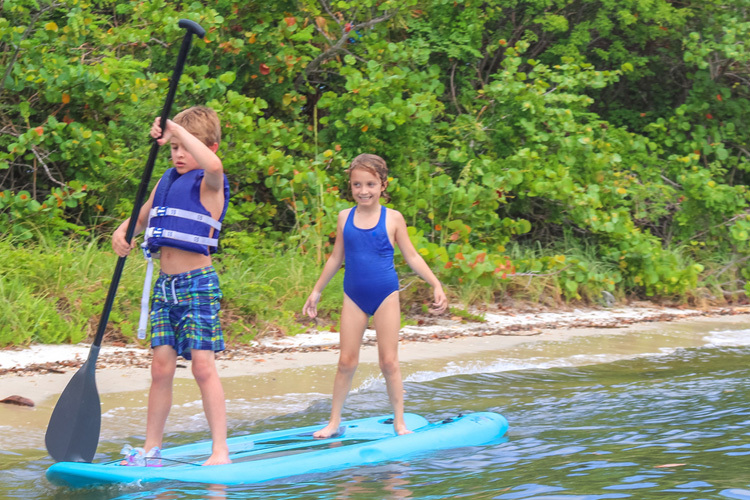 Campsites on state land are free, while those on private islands are available with MITA membership ($45/year individual; $65/year family). July, August and September typically offer the best weather, with September offering the bonus of lobster-red leaves. The Maine Department of Tourism also has some excellent paddling information their site. Personal safety is the most important part of any paddling trip. The following are some excellent suggestions from the American Canoe Association. Research the area: Study the trail’s pamphlets, web sites and other information sources on topics such as logistics, potential hazards and isolation. Guidebooks and topographic maps are valuable references in trip planning. Plan alternate routes in case of winds, changing weather, or unexpected paddler limitations. Prepare for weather: Be prepared for all conditions, including paddling in everything from temperatures that can cause heat stroke and hypothermia. Be ready for change: Waterways are dynamic systems; even the most detailed route descriptions can’t account for seasonal changes due to fluctuations in water level, downed trees, recent floods, geological disturbances, storms and rainfall. Conditions are ever-changing. Be smart: plan for unexpected situations, and stay alert. Make sure your equipment is appropriate to help you rescue yourself. Clarify participant responsibilities with paddlers beforehand. 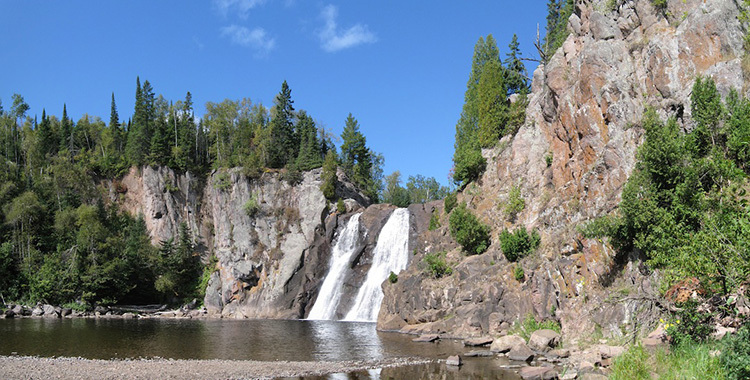 Each participant should take responsibility for the decision to participate, the selection of appropriate equipment, and the decision to run, scout, or portage rapids. More experienced paddlers should assist those with less experience in making proper decisions. Use this Paddler’s Checklist, which can be applied to almost any route you take. If the Maine trail has an equivalent out West, it’s the Cascadia Marine Trail, which stretches more than 140 miles through Puget Sound from just outside Olympia, Wash., to the Canadian Border. Since 1993, thousands of paddlers have traversed this inland sea trail, designated as one of 16 National Millennium Trails by the White House. 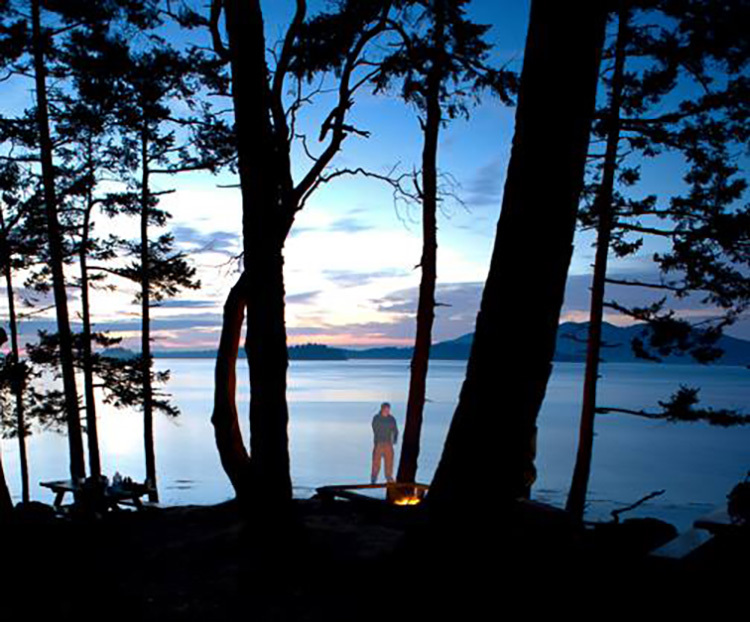 More than 50 campsites are accessible from a variety of public and private launch sites and shoreline trailheads; some are free, others require nominal fees and reservations, and still others are self-service pay as you go. Wherever you stay, expect a whale of a good time (and to possibly see them as well). Sea kayak the world’s largest freshwater lake on the Lake Superior Water Trail, which extends from the St. Louis to the Pigeon River. The trail’s concept was born in 1991, with legislature making the trail official two years later. Maintained through a partnership of more than 100 individuals, families, businesses and organizations, the trail is open to all non-motorized craft, with new campsites added each year. 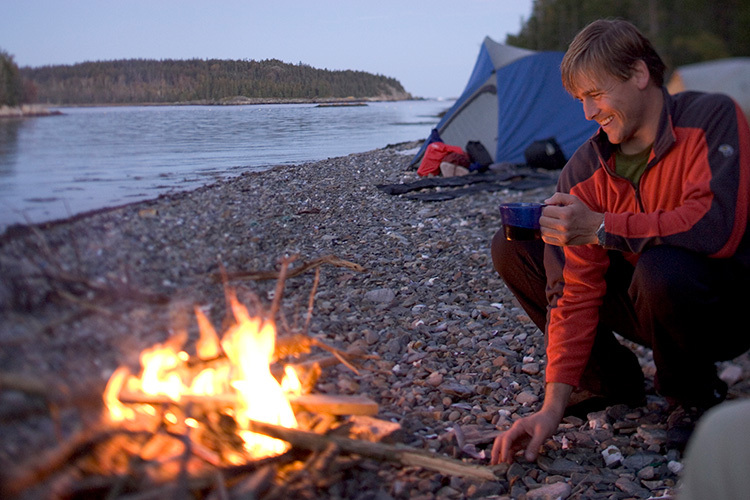 Groups of six can camp at official water trail sites, available for free on a first-come first-served basis, or you can pay a nominal fee per night to bed down—and enjoy a fire whose flames match the reds and yellows of nearby Pictured Rocks National Seashore—at any number of state park campsites en route. 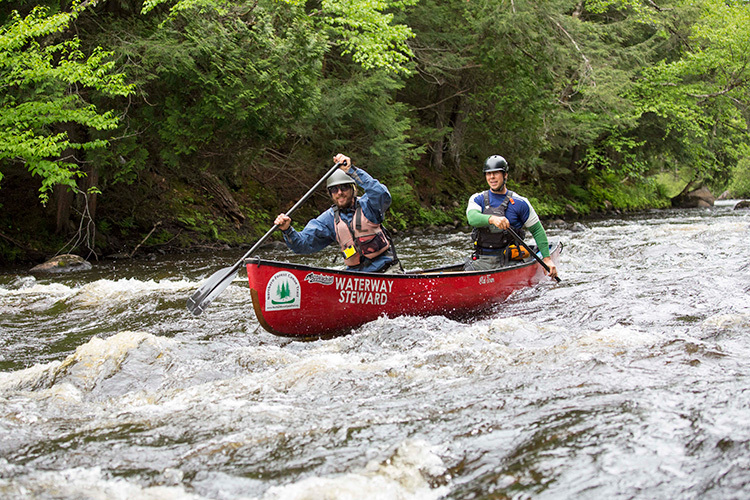 Completed in 2006 as the longest inland water trail in the nation, the Northern Forest Canoe Trail is a 740-mile water trail from Old Forge, New York, to Fort Kent, Maine. Following traditional travel routes used by Native Americans and settlers, the paddling pathway links together 23 rivers and streams, 59 lakes and ponds, 45 communities and 65 portages totaling over 70 miles. But don't let its size sway you; it’s easy to paddle portions in as little as one to three days, with endless paddling opportunities and services easy to find. Find a day trip, weekend getaway or week-long vacation, or quit your job and paddle it end-to-end. You can overnight anywhere from Adirondack lean-to’s and historic hotels to Bed and Breakfasts and established or primitive campsites. The organization offers maps, books, and an online Trip Planner to help you pick your route and connect you to local services (or explore the trail with Google Earth). 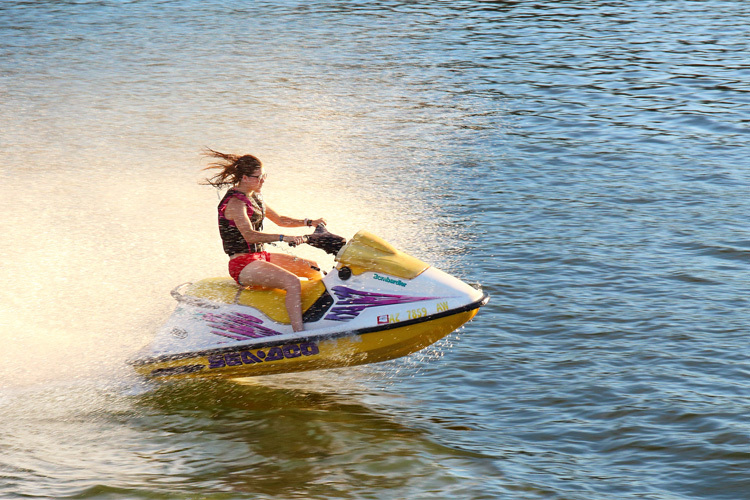 You can rent or buy equipment from outfitters nearby or hire a guide.